Management Consulting that makes your business prosperous, and profitable! Our specialty is providing you with the management techniques that will increase your business activity to the next level. Given a valuable product, any business can reach prosperity. The good news is that the most important and valuable management tools are usually the least complex and least difficult to use. However, you do have to know and use them. A professional in any field has put in years of training to become proficient in their specialty. Rarely do they have the time to also earn an MBA. However it is possible to take advantage of a skilled management consultant, who can teach you the truly essential parts of running a well-known and profitable business. Cook Profitability Services will implement and show you how to maintain simple and very successful marketing and promotional and new patient programs. 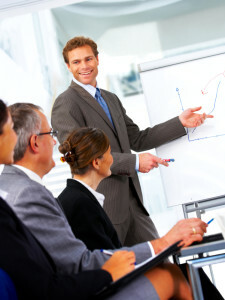 We also will teach you strong organizational, staff handling and financial management skills. In fact, there is no aspect of running a successful business activity that we cannot show you how to improve. How do our Management Consulting Services work? Our initial sign-up program is simple. The first step is a doing a detailed analysis that will isolate the exact strengths and weaknesses of your specific practice. Based on this, we will lay out a program for handling these key points, and will go over them in detail with you. Once you sanction the program, we will work with you to implement it to address the key situations that are blocking your business from reaching the next level. At each step, we will show you exactly how to keep the program going on your own after the consulting is finished. Review your strengths, and weaknesses. Every business has unique strengths and weaknesses. These are much harder to view impartially from the inside. An external review isolates strengths and weaknesses most important to develop or mitigate. With specific programs, you can exploit your strong points and bolster the weak. Many businesses are quite surprised to find that will move effortlessly to the next level of prosperity, once Cook Profitability Services has shown them the way. The news media bombards us with the latest devastation to the economy. The United States in fact has barely exited from technical recession, but has not recovered from a recessionary period that could last for years. Are you equipped to deal with it? If you are not geared up to maximum efficiency then you are at risk. A strong business plan, known to all your staff, will give you focus. Strong, but economical marketing, built into the fabric of your day-to-day operations, will move you forward. These are the kinds of things that give any business the resilience to hold fast in harder times and the ability to expand.